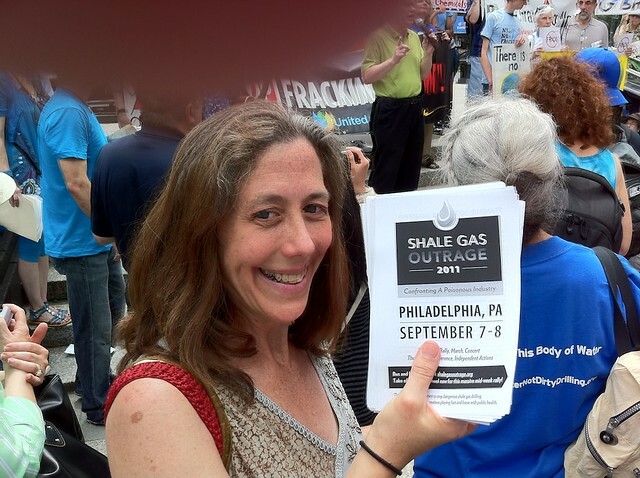 June 25 was a statewide day of action against fracking for gas. Rallies and events took place all over New York State. 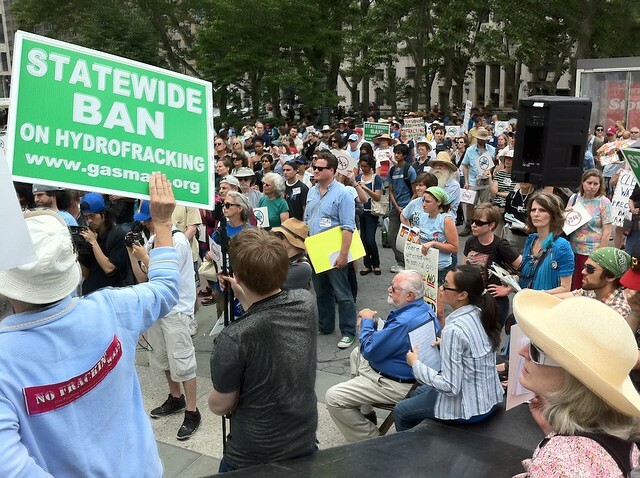 A lively rally at Foley Square in New York City attracted hundreds of participants from New York New Jersey and Pennsylvania. 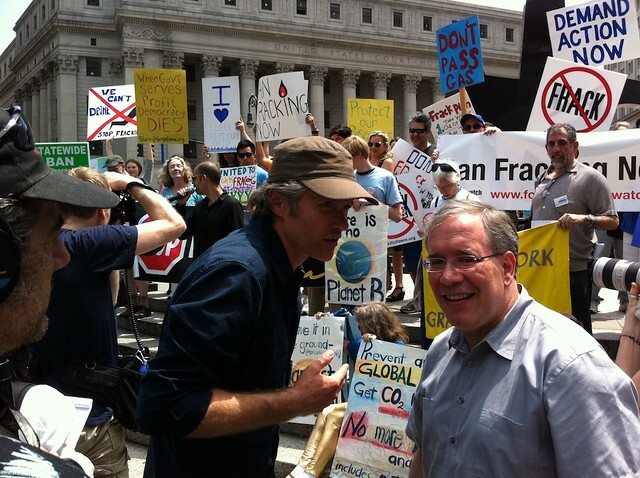 Speakers ranged from concerned citizens to high school students to environmental leaders to state and local officials. 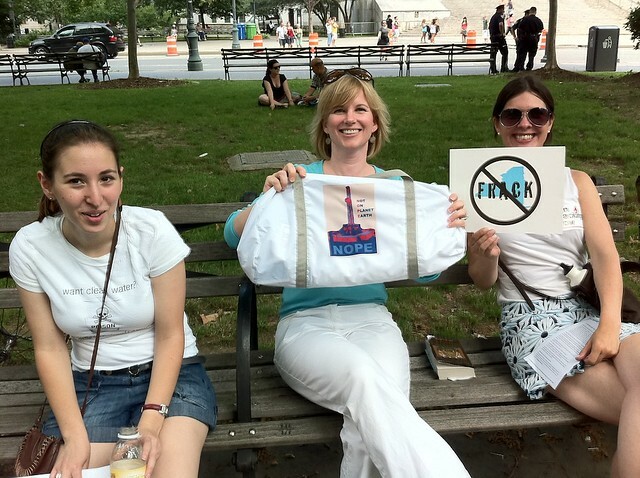 The clear message – fracking for gas should not be allowed anywhere. 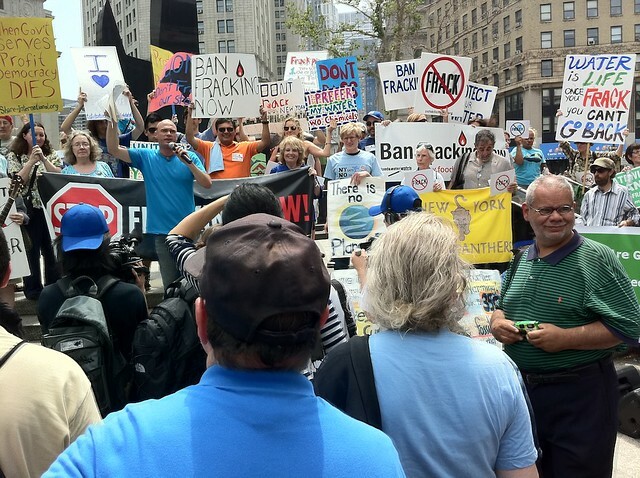 Here are some pictures from the New York City rally. Manhattan Borough President Scott M. Stringer after accepting a giant petition to stop the proposed Spectra pipeline through NJ and NY. 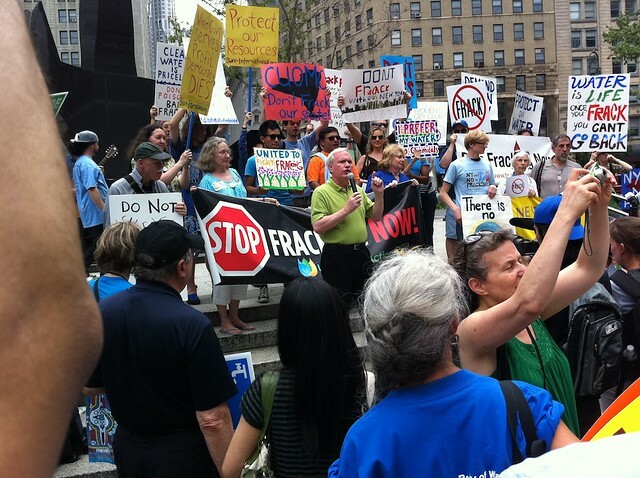 New York State Senator Tony Avella speaks. Save the date! There will be a major action in Philadelphia in early September. United for Action's own David Braun gives a rousing speach. 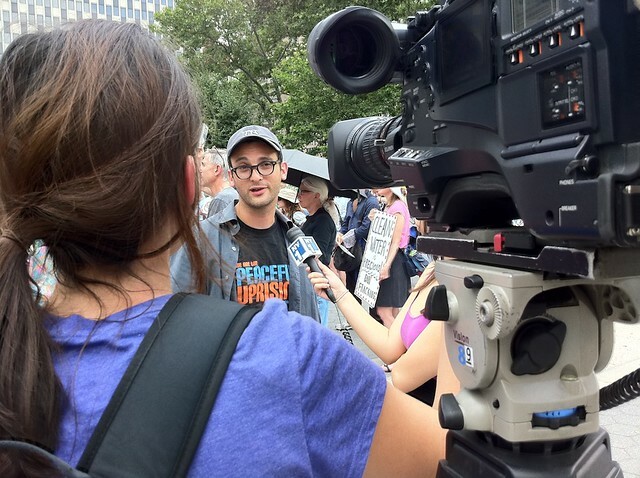 Gasland Director Josh Fox has a few things to say to a local news team. 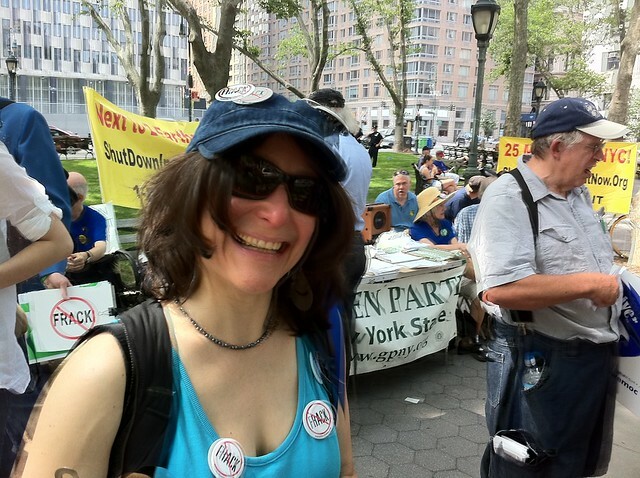 Social activism is fun and rewarding, and you meet great people.